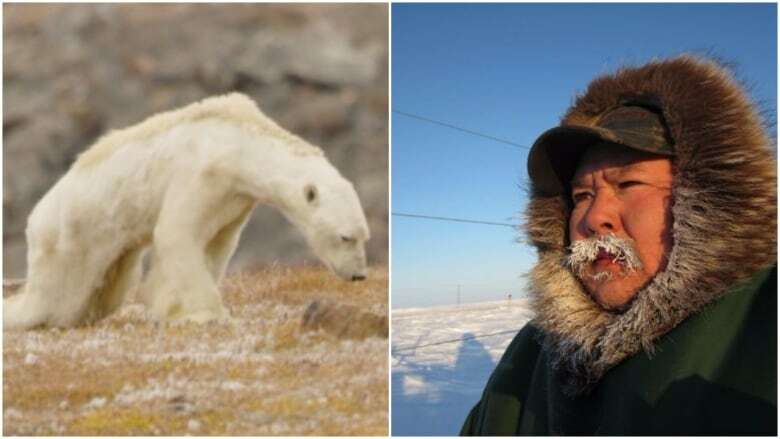 A viral video of a starving polar bear rummaging through garbage in search of food isn't necessarily the result of climate change, says local man who monitors the animals. In the clip, an emaciated bear, bones visible through its yellowing fur, struggles to walk as it searches for food in an abandoned fishing camp on Somerset Island, near Baffin Island in Nunavut. It was shot in July by National Geographic photojournalist Paul Nicklen for his conservation organization SeaLegacy, which runs regular expeditions in the North to document the effects of climate change. "When the animal first got up and we could see that he was actually in the late stages of starvation," SeaLegacy co-founder Cristina Mittermeier told As It Happens on Friday. Mittermeier said they can't be certain about the cause of this bear's condition, but hopes it prompts discussions about how climate change is affecting the North, including its wildlife. "We are not sure that it was because of climate change. It is impossible to tell why he was in this state. Maybe it could have been an injury or a disease, but the point is that it was starving and we want people to know what a starving polar bear looks like, because as we lose the ice in the Arctic polar bears will starve," she said. For example, he said he recently came across a bear with a broken paw that couldn't hunt, and locals had to put it down. "Since I'm from the North, I wouldn't really fall for the video," he said. "I wouldn't really blame the climate change. It's just part of the animal, what they go through." He's not the only one speaking out about the video. After As It Happens aired its interview with Mittermeier, several listeners from the North contacted the show to object to using one dramatic video clip to illustrate the wider issue of climate change without consulting locals. Others questioned the timing of the video's release, noting it was filmed during the region's snowless summer months, but posted online in December. Still, several studies have documented the negative impact of melting sea has on polar bear populations. Global polar bear numbers could drop by more than 30 per cent by mid-century, according to a December 2016 study that was published in the Royal Society's Biology Letters. It found a 71 per cent chance that the mean global population size will decline by more than one-third over the next 34-41 years, a period the authors describe as "three polar bear generations." Since 1979, sea ice melted an average of 1.26 days earlier across the the four polar bear ecoregions and 19 subpopulation areas, the researchers said. Polar bears rely on sea ice as a habitat for hunting seals, but as the Arctic gets warmer as a result of climate change, there is less ice, especially in the summer. "The key feeding time is being shortened and shortened progressively," University of Alberta polar bear expert Ian Stirling told The Canadian Press in an interview about the SeaLegacy video. "So they're coming to shore with less stored fat, they're… living longer on it, and some of them are just running out of gas." While polar bears in some areas have been particularly hard hit, a report released in March by the Canada-Greenland Joint Commission on Polar Bear found the creatures are weathering climate change better than expected in much of Canada's eastern Arctic. 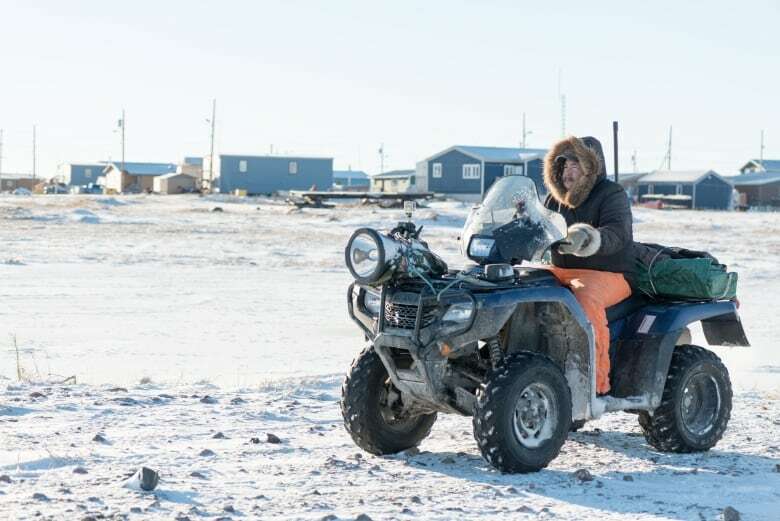 Ikakhik said he's not denying the existence of climate change or its effect on the North, but he takes issue with one piece of footage being used to paint a bigger picture about wildlife in the North. "These things happen," he said. As It Happens has reached out to SeaLegacy for further comment. On Friday, Mittermeier said it doesn't ultimately matter what happened to this one bear. "The point is that it was starving," she said. "As we lose sea ice in the Arctic, polar bears will starve." CORRECTION: A previous version of this story suggested that SeaLegacy suspected climate change was responsible for the bear's condition. While the group said the video brings attention to the dangers of climate change, it did not speculate on the cause of the bear's starvation.